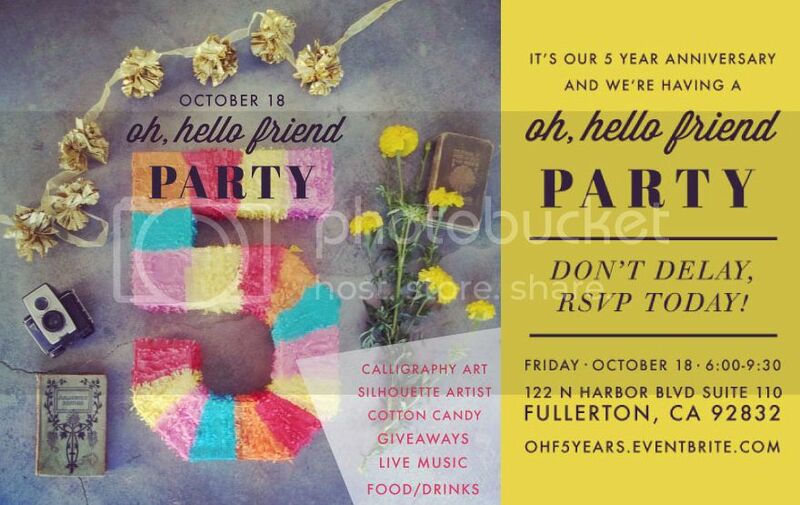 in 2008, oh, hello friend shop + blog was created and we had no idea we'd end up where we are today. we've had so much support from you guys - so we're celebrating our 5 year anniversary with a big party! If you're in Southern California, I hope you can make it, it's going to be really fun! We're having a calligraphy artist offering instant prints (give her a phrase and she'll write it in pretty calligraphy script for you to take home! ), a silhouette artist (she'll cut out your silhouette!) a cotton candy stand (so cute! ), live music from the amazing Me & Mr Cassidy (love them!) a diy/craft station, tattoo station, refreshments, giveaways, and more. We're also having 2 raffles - #1 raffle) we'll be raffling off five #5 pinatas (pictured above) filled with lots of cool surprises! tickets are $1 and they'll be available at the party. #2 raffle) if you buy anything in the shop and your purchase totals $10 or more purchase - SAVE YOUR RECEIPT and enter it into an exclusive raffle at the party to win a $50 gift card to the shop! Any purchases made between October 10th - October 18th will qualify. Be sure to save your receipt and bring it to the party! Find all the information about the event and RSVP here! The event is free to attend but we're asking for a donation (suggested $5 or whatever you can give!) to support Zoe International. 100% of the proceeds will be donated to the organization! 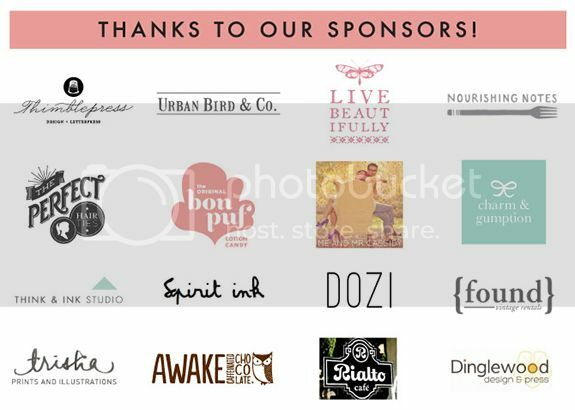 oh, and first 100 in line will receive a swag-bag filled with TONS of goods from the companies listed below! Hi! I'm so sorry to write this here, but I've emailed twice over the last few weeks and have gotten no response. I ordered an item in August, and have yet to receive it. This has never happened to me before with your business; I'd love to have it resolved. Thanks! My email is e (at) esmewang.com. Did you say COTTON CANDY?!?!?! Online festivities? Oh yay!! I remember finding this blog mid-2009 when I entered college, and I've loved following it ever since~! Thank you for so much inspiration, Danni!